University of Notre Dame Press, 9780268104061, 210pp. 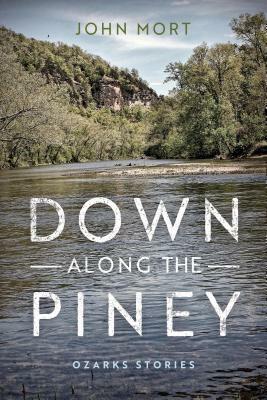 Down Along the Piney is John Mort's fourth short-story collection and winner of the Richard Sullivan Prize in Short Fiction. With settings in Florida, California, Mexico, Chicago, the Texas Panhandle, and, of course, the Ozarks themselves, these thirteen stories portray the unsung, amusing, brutal, forever hopeful lives of ordinary people. Mort chronicles the struggles of "flyover" people who live not just in the Midwest, but anywhere you can find a farm, small town, or river winding through forested hills. Mort, whose earlier stories have appeared in the New Yorker, GQ, and The Chicago Tribune, is the author of the award-winning Vietnam War novel Soldier in Paradise, as well as Goat Boy of the Ozarks and The Illegal. These ironic, unflaggingly honest stories will remind the reader of Jim Harrison, Sherwood Anderson, and Shirley Jackson.